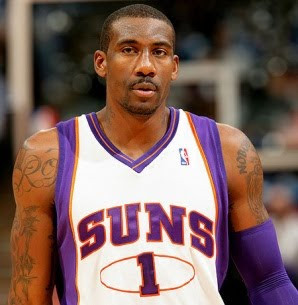 The Rabbi with a Blog (Rabbi Jason Miller): Is Amar'e Stoudemire Jewish? Amar'e Stoudemire's official Twitter account name is @Amareisreal but it mind as well be AmareIsrael. From his Twitter feed we learn that the basketball star is now in Jerusalem, Israel searching for his Jewish heritage. The 2003 Rookie of the Year has apparently learned that he has Jewish roots (born in Lake Wales, Florida his father died when he was twelve and his mother Carrie was in and out of prison during that time). 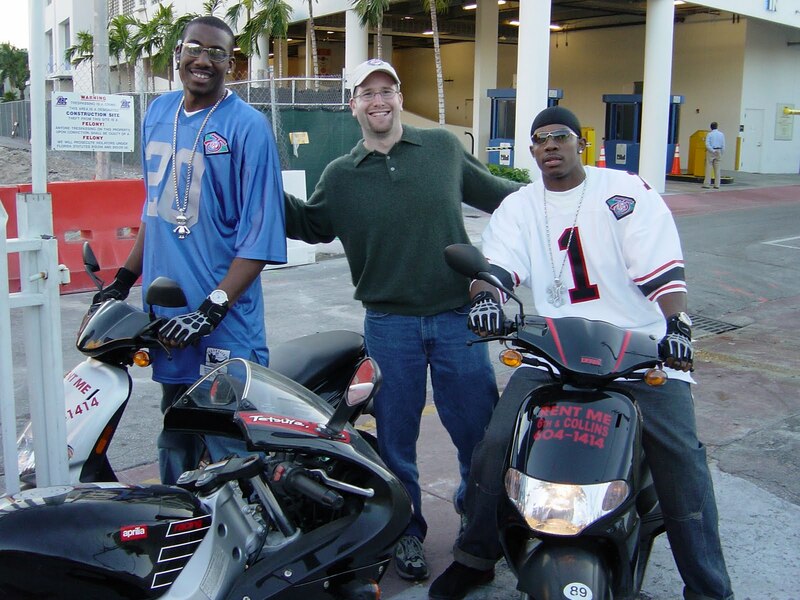 I met Amar'e Stoudemire in Miami Beach in January 2003 during his rookie year with the Suns. He was with his teammate and fellow NBA rookie sensation Joe Johnson and another friend riding mopeds around South Beach. My dad and I also rented mopeds and drove around with the three men. Of course, at the time he had no idea about his supposed connection to the Jewish people. Earlier this month, Stoudemire joined the NBA's New York Knicks as a free agent. So, perhaps moving to the heavily Jewish populated New York made Amar'e curious about his own Judaism? According to Haaretz and JTA reports, Stoudemire, a power forward formerly of the Phoenix Suns, was heading to Israel for a voyage of discovery after finding out he has a Jewish mother. According to an Israel Army Radio report, Stoudemire plans to spend time in Israel learning Hebrew. Stoudemire's most recent tweet lets us know that he's eating a late lunch at a cafe and learning a lot of Hebrew. In an earlier tweet he posted, "The holy land. Learn about it. Ze ha'halom sheli" (Hebrew for "this is my dream"). If Amar'e Stoudemire's mother is indeed Jewish then he has just become the greatest Jewish NBA player of all time! Good luck on your search Amar'e... or should I say "Behatzlacha!" "I haven't checked to see if he's circumcised, but regardless, it's a stretch to call him Jewish at this point." This claim is entirely unbelievable. Smart money says this is 100% bull. His mother, Carrie, was "in and out of jail." What IS likely is that his criminal, drug-addicted mother was associated to the so-called Black "Hebrews," a racist, anti-semitic group of sheep led by a small group of con artist thugs who bilk their flock for all they're worth, all the while spouting antisemitic hate asserting that we are "fake" Jews, and that they are "original Hebrews." Right. Esther was able to pass among the Persians, who didn't know she was a Jewess because they couldn't distinguish her from themselves. And we all know that Iranians look just like Michelle Obama. Puleeeez. This entire story is a crock, and weak-willed liberal Jews are too afraid of being called "racists" to state the obvious, which is that this story is bs. Dear Anonymous - Why such anger? If Amare considers himself Jewish, wonderful, we should be glad to have a polite, well spoken, talented young person among the Tribe. many "jews" aren't really. Most are converted khazars. Like how hitler thought his peeps were "aryans", when true aryans just a myth. I thought there was a difference between being "Jewish" and having some "Hebrew" ancestry. Judaism is a religion and people can convert to it whereas one can be of Hebrew descent without believing in Juadaism. To those who say it's a load of crock - Lenny Kravitz and Drake both have Jewish mothers who also have Hebrew ancestry and yet one couldn't tell from their looks. Amar'e did not say that his mother is fully Hebrew, just that she may have some Hebrew ancestry, making him not half Hebrew but partial. Either way, does it really matter? The fact remains that he seems to have a profound respect and interest for Israel and Hebrew. It's unfortunate that some would think him less for it. If he wants to convert, why not? Alot of "roots" is heresay. I dont even want to post here what I was told about my roots but roots is not always documents but family talk. Good luck to him in exploring his spirituality.